Following a report that Chinese authorities had ordered state-owned ISPs to block VPNs, the government has published a statement. The Ministry of Industry and Information Technology said no such notice had been issued and "legitimate access" to the global Internet, by businesses and general users, will be permitted. A notice published by China’s Ministry of Industry and Information Technology in January said that the government had launched a 14-month campaign to crack down on local ‘unauthorized’ Internet platforms. The idea is that all Internet services such as data centers, ISPs, CDNs, and VPNs, will eventually need pre-approval from the government to operate. Operating such a service without a corresponding telecommunications business license will constitute an offense. After the news broke, a source with contacts at a high-level telecoms company in the region told TF that, in his opinion, user-based VPNs were not the target and that MPLS VPNs were. These types of VPN (pdf) allow businesses, including those in China, to connect their geographically separated business locations, such as those in Hong Kong, Singapore, and Indonesia, for example. This week, however, Bloomberg broke the news that China’s Government had ordered telecommunications carriers to block individuals’ access to Virtual Private Networks. This, the publication said, would stop citizens from accessing the global Internet. According to the report, the government ordered at least three state-run telecommunications firms, including China Mobile, China Unicom and China Telecom, to stop people from using VPNs which allow people to circumvent censorship restrictions, otherwise known as the Great Firewall, by February next year. Jake Parker, Beijing-based vice president of the US-China Business Council, agreed that the move “seems to impact individuals,” but last evening the Chinese authorities were attempting to pour cold water on the report. In comments to China-based media outlet The Paper, the Ministry of Industry and Information Technology denied issuing a notice to the telecoms companies requiring them to block user VPNs. It said that “foreign media reports” were inaccurate. “Our subordinate Secretary did not issue the relevant notice, what foreign media reported was false,” the Ministry said. The local media report then has the Ministry citing news that previously broke in January, detailing the new government measures that require cross-border enterprise-level VPN systems to be authorized and licensed. “Foreign trade enterprises and multinational companies, due to office for personal use and other reasons, need to access cross-border networking,” the Ministry said, adding that licensing is available and won’t have a detrimental effect on normal operations. Given this statement, the announcement in January, and the comments made to TF regarding the government targeting enterprise-level VPNs, it raises the question whether the term ‘VPN’ has perhaps been interpreted too widely, to include user-based services. Nevertheless, in a follow-up report last evening, Bloomberg repeated its claims that Beijing had ordered state-run telecoms firms to stop people from using VPNs that route traffic overseas to avoid censorship. 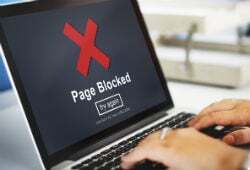 “The clampdown will shutter one of the main ways in which people both local and foreign still manage to access the global, unfiltered web on a daily basis,” the report said. Only time will tell how the landscape will pan out, but it’s safe to say that China would like a tighter hold on the web than it has now and that VPNs of all kinds will continue to undermine that control, unless something is done.